This weekend SLE will be sponsoring a specialised neonatal ventilation workshop in Saudi Arabia in partnership with our local distributors Ebrahim M.Almana & Bros.Co. 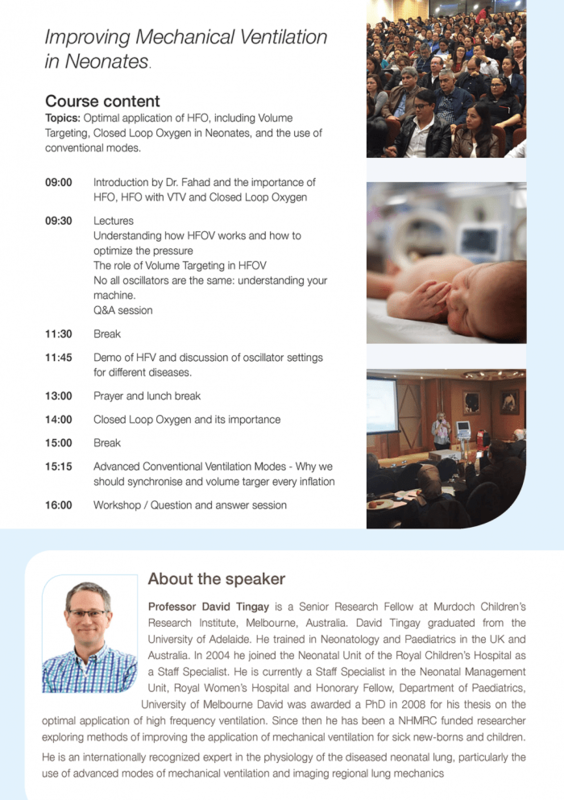 Already fully booked, the Neonatal Ventilation Lectures and Workshop is to be presented by guest speaker Professor David Tingay, a Senior Research Fellow at Murdoch Children’s Research Institute, Melbourne, Australia. 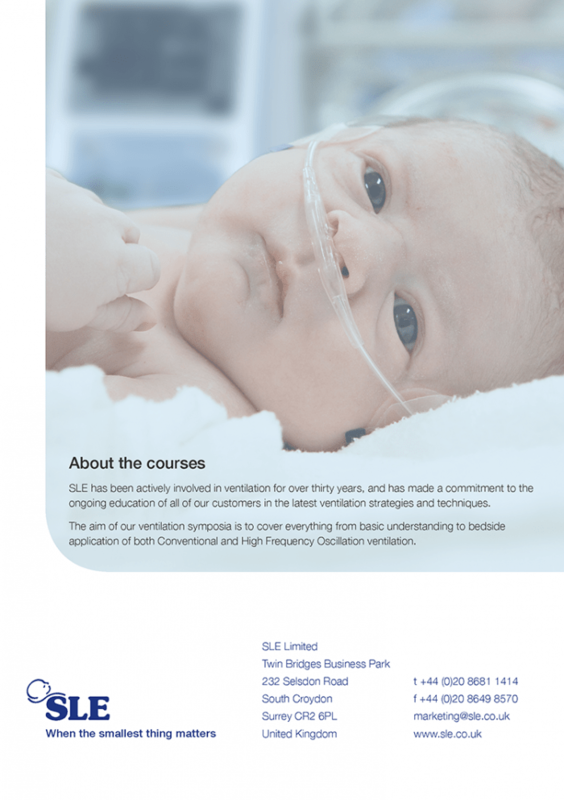 The purpose of this course is to offer practical training on lung protective ventilation for premature infants. Other topics to be covered include: HFOV (with Volume Targeted Ventilation), the application of OxyGenie® (our new closed-loop O2 technology on the SLE6000) and the best practices to follow when using advanced conventional ventilation modes. This unique educational experience organised for Saudi Arabian Neonatologists and Paediatricians is part of the specialist training we offer to neonatal clinicians and nurses across the globe. Professor David Tingay graduated from the University of Adelaide. He trained in Neonatology and Paediatrics in the UK and Australia. In 2004 he joined the Neonatal Unit of the Royal Children’s Hospital as a Staff Specialist. He is currently a Staff Specialist in the Neonatal Management Unit, Royal Women’s Hospital and Honorary Fellow, Department of Paediatrics, University of Melbourne. David was awarded a PhD in 2008 for his thesis on the optimal application of high frequency ventilation. Since then he has been a NHMRC (National Health and Medical Research Council) funded researcher exploring methods of improving the application of mechanical ventilation for sick new-borns and children.